Done with tedious mono color backlight? This Grove enables you to set the color to whatever you like via the simple and concise Grove interface. 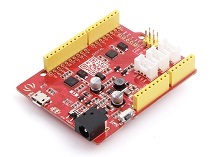 It takes I2C as communication method with your microcontroller. So number of pins required for data exchange and backlight control shrinks from ~10 to 2, relieving IOs for other challenging tasks. Besides, Grove - LCD RGB Backlight supports user-defined characters. Want to get a love heart or some other foreign characters? Just take advantage of this feature and design it! 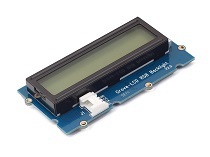 This product is a replacement of Grove - Serial LCD. 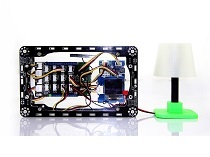 If you are looking for primitive 16x2 LCD modules, we have green yellow backlight version and blue backlight version on sale also. This document works for Grove-LCD RGB Backlight Version 1.0, 2.0 and 4.0. 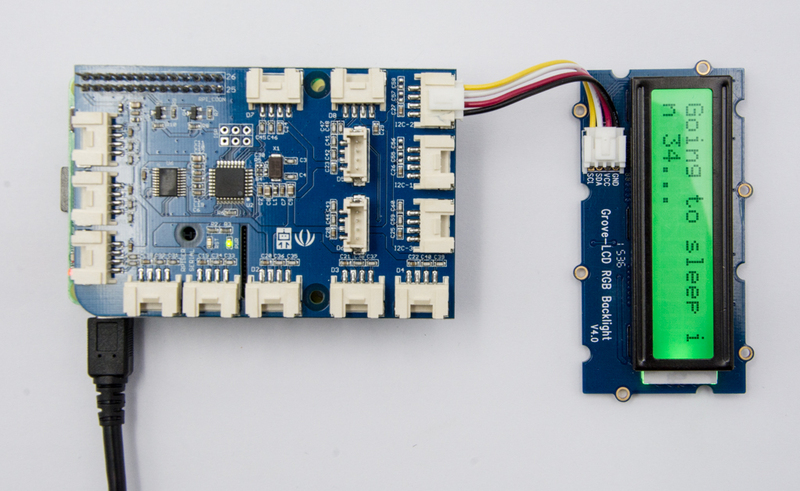 There are 4 I2C addresses and we use 2 I2C addresses for LCD and RGB. Step 2. Connect Grove-LCD RGB Backlight to I2C port of Grove-Base Shield. If we don't have Grove Base Shield, We also can directly connect Grove-LCD RGB Backlight to Seeeduino as below. Step 1. 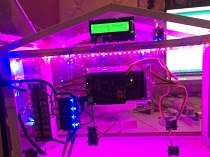 Download the Grove-LCD RGB Backlight Library from Github. Step 3. Here are 12 examples in the library as below. Step 4. 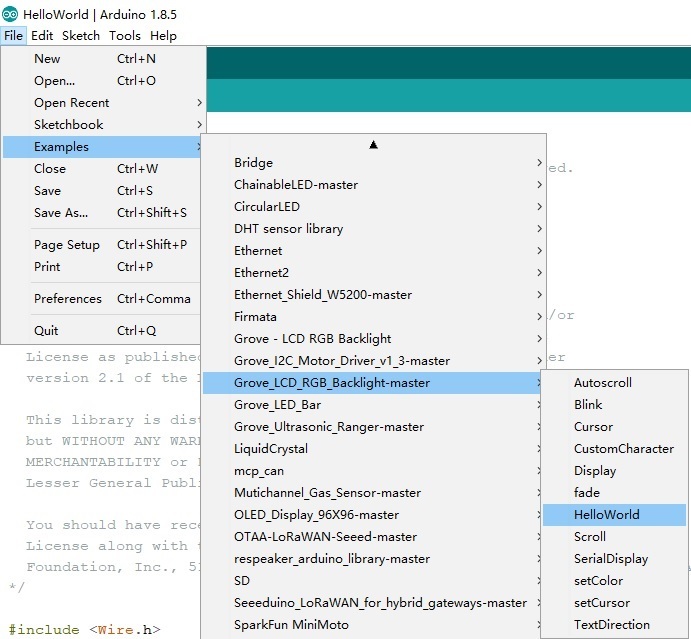 Please follow below picture to select example HelloWorld and upload the arduino. If you do not know how to upload the code, please check how to upload code. Step 4. 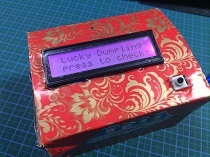 We will see the hello world on LCD. Step 1. Using a Grove cable connect Grove - LCD RGB Backlight to Seeeduino's I2C port. 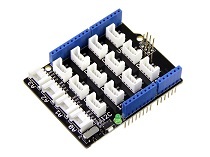 If you are using Arduino, please take advantage of a Base Shield. When the code finishes uploaded, you will see "hello, world!" and system running time displayed in the LCD. Step 3. 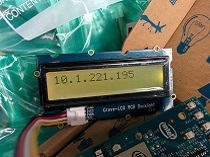 Connect Grove-LCD RGB Backlight to I2C port of GrovePi_Plus. Step 3. 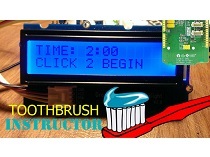 Excute below commands to use the Grove-LCD RGB Backlight to display. 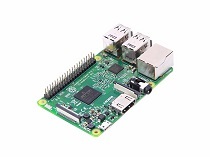 Here is the grove_rgb_lcd.py code. Q1: How to use multiple Grove-LCD RGB Backlight? 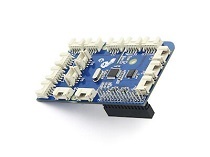 A1: Please refer to Arduino Software I2C user guide. 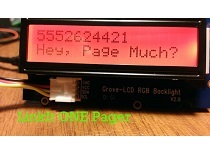 Q2: How to use button to switch Grove RGB LCD to display different pages? A2: Here is the code. Particle + Grove LCD RGB Backlight = Realtime Clock: Connect Grove LCD RGB Backlight to Particle using I2C to display time.